The islands of the Outer Hebrides have been inspiring writing – fact, fiction, and downright fancy – for years. From the 18th century diary entries of Boswell and Johnson, to the current-day best-sellers by Peter May, writers visiting (or living in) the islands have long been inspired to put pen to paper. As a life-long bookworm, I’ve read a fair few books set in Scotland’s Outer Hebrides myself. Sometimes I read them for entertainment, sometimes I read them for education, sometimes I read them for work, and sometimes I read them simply because they’re set in the Hebrides. 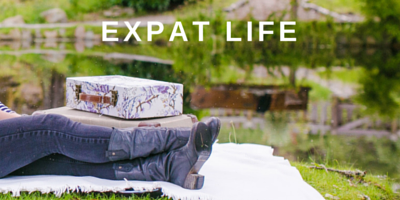 After all, who wouldn’t be intrigued to discover how others see and depict their home? With the arrival of Book Week Scotland, I thought it was the perfect time to share some of my favourites. 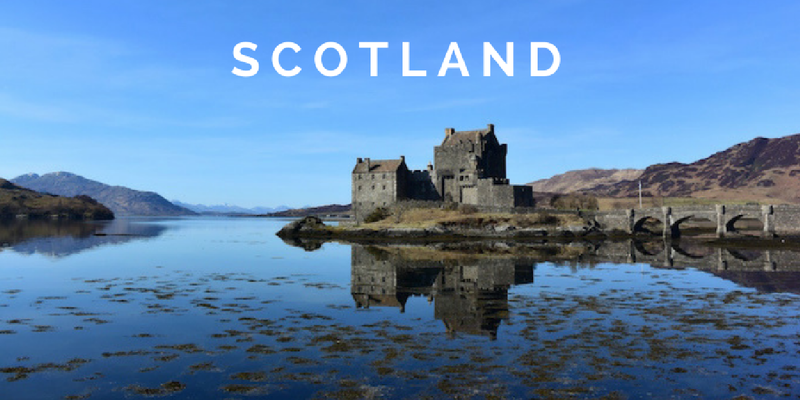 So without further ado, here are 10 books I think you should read before visiting the Outer Hebrides – books that will inspire you to visit, books that will bring back fond memories of a past holiday, or books that will give you an historical insight into the archipelago. The Lewis Trilogy, by Peter May. I suppose this one is a bit of a cheat, as I’m including three books instead of one – but you can’t talk about one of these books without talking about all of them. 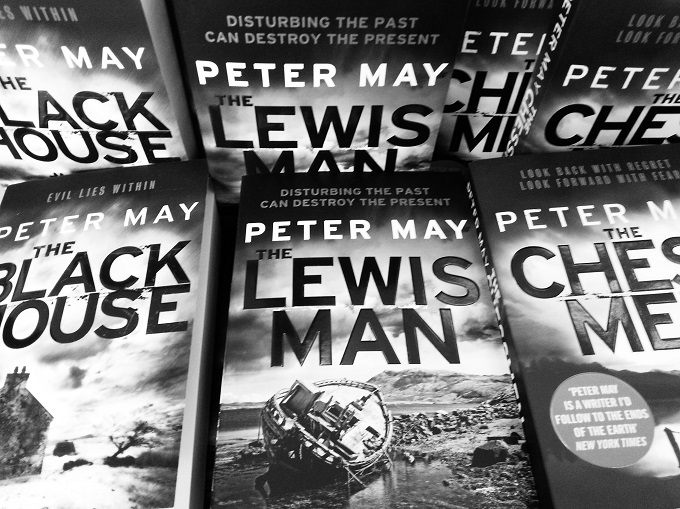 The Blackhouse, The Lewis Man, and The Chessmen make up Peter May’s best-selling crime trilogy set in the islands, a trilogy that follows the fortunes of Fin Macleod, an Edinburgh policeman who returns to Lewis, the island of his birth, to help solve a murder case. The books are so popular that readers are actually visiting the islands to see the novels’ settings for themselves. Since the islands are as prominent a feature in the tale as the main characters, it’s hardly surprising. Who knows, once you lose yourself in the action, you might just find yourself booking a flight to Stornoway, too! 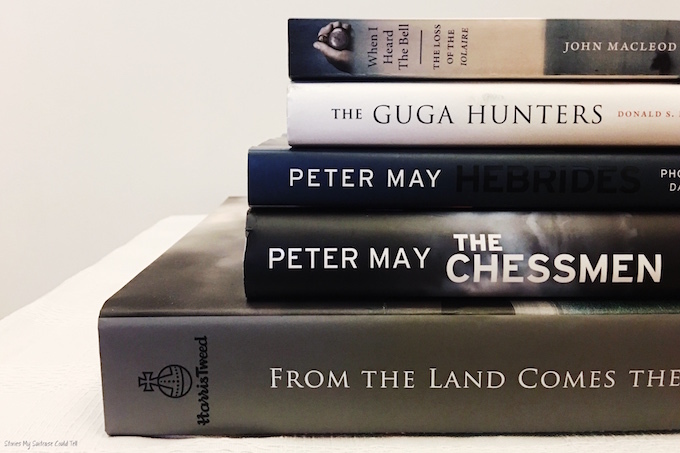 Add them to your reading list here: The Blackhouse: The Lewis Trilogy , The Lewis Man: The Lewis Trilogy, and The Chessmen: The Lewis Trilogy . From The Land, by Ian Lawson. There’s no other way to describe it: this photography book is magnificent. My copy is one of my most prized possessions, sitting proudly on display in the living room, offering anyone who glances at it a window into the Western Isles. Photographer Ian Lawson spent years visiting the islands again and again, getting to know their people, their landscapes, and of course, their cloth, the world-famous Harris Tweed. The book holds some of the most incredible images I’ve ever seen of my home, and the links between the land, the elements and the textile inspired by it all, are beautifully obvious when seen side-by-side in these pages. Add it to your reading list here: From The Land. Whisky Galore, by Compton Mackenzie. If you’re looking for a laugh, open up the pages of Whisky Galore. The 1947 story of how the residents of Todday react when a ship full of whisky runs aground on their island is loosely based on the real-life grounding of the SS Politician off the Isle of Eriskay, in 1941. Compton Mackenzie spent time living on Barra, and his experience of island life is evident in his creation of Todday. It’s been a few years since I read the book, but I do remember laughing out loud to myself as I turned the pages, and read phrases I’ve only ever heard in the Hebrides. Fun fact: I recently discovered that Whisky Galore was released in the USA under the title “Tight Little Island.” No wonder I couldn’t find it in the local library! 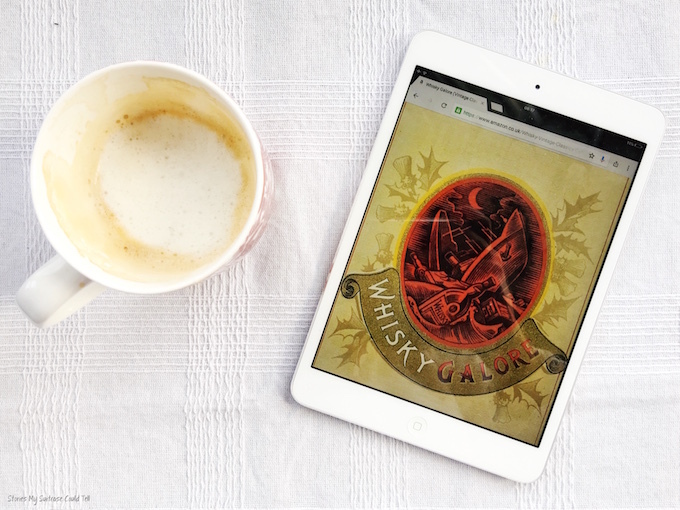 Add it to your reading list here: Whisky Galore . 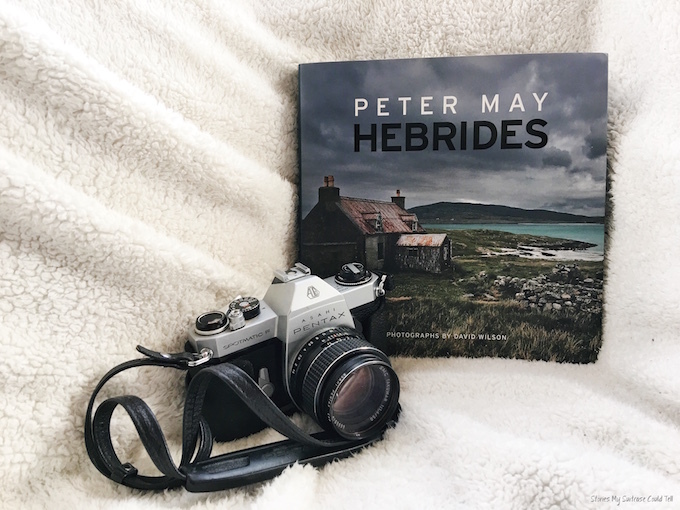 Hebrides, by Peter May and David Wilson. I’ve written before that this photographic book is “a love letter… to the landscape and culture of the Western Isles.” It’s not an exaggeration, either: following the success of the Lewis Trilogy, Peter May penned his own personal guide to the islands, noting the locations that appear in his books, and those that made an impact on him during his time there in the 1990s. Working with photographer David Wilson, his words are illustrated with striking images, bringing the world of the trilogy to life for readers around the world. 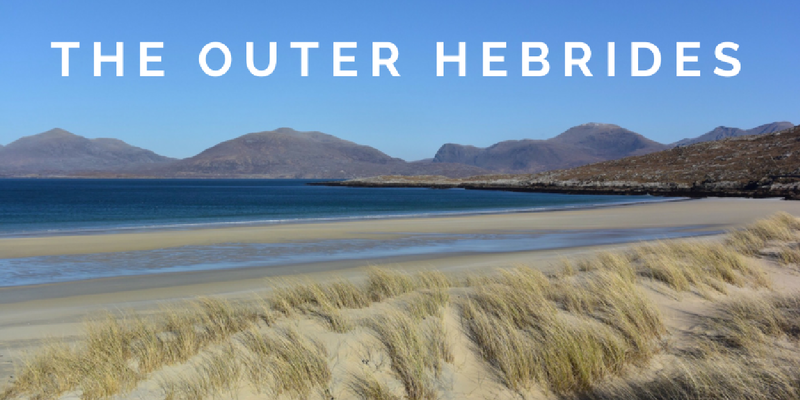 Whether you’ve read the novels or not, Hebrides is guaranteed to transport you to the beautiful beaches and moors of the Hebrides (not to mention the abandoned buses, but that’s a whole other story…). The Guga Hunters, by Donald S. Murray. In Lewis, if you’re lucky enough to know someone with connections to the district of Ness, you might find yourself feasting on the local delicacy that is boiled salted gannet, called ‘guga’ in Gaelic. Donald S. Murray’s book looks at the history – both long-gone and more recent – of the so-called ‘Guga Hunters’ of Ness, the men who venture to the island of Sula Sgeir each year to harvest the guga. 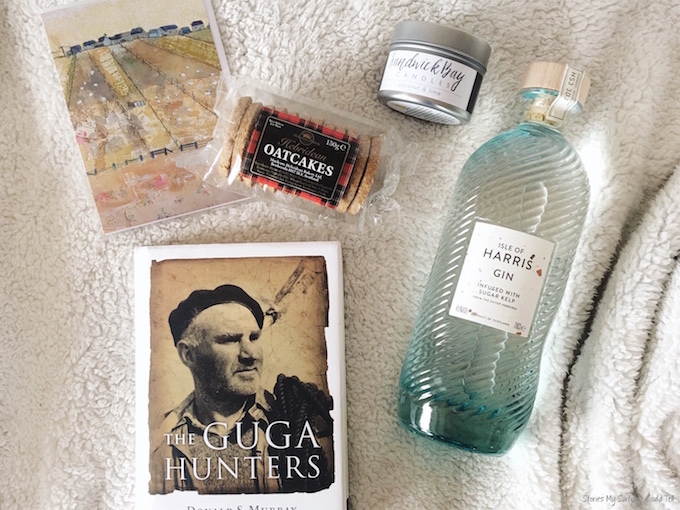 Add it to your reading list here: The Guga Hunters. The Stornoway Way, by Kevin MacNeil. If you’re in search of an idyllic portrayal of the Outer Hebrides, look away now. 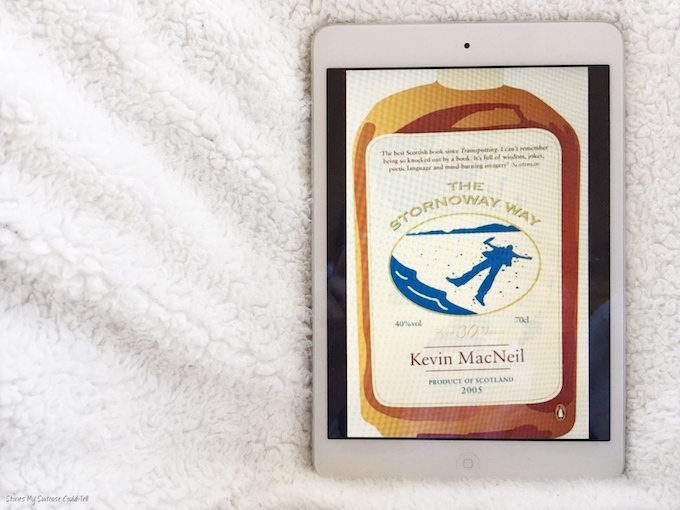 The Stornoway Way, written by local author (and poet, playwright, tutor, and performer) Kevin MacNeil, ruffled some local feathers when it was first published, mostly due to the strong language and sensitive subject matter. Despite the controversy, it’s a poetic, funny, and emotional book, a tale told in first person by drink-fueled narrator Robert Stornoway, and one well worth reading for an alternative (albeit fictional) look at life in the isles. Add it to your reading list here: The Stornoway Way. Crowdie and Cream (And Other Stories), by Finlay J. Macdonald. In a complete reversal of my usual rules of reading, I watched the wonderful TV series adaption before picking up this book itself. 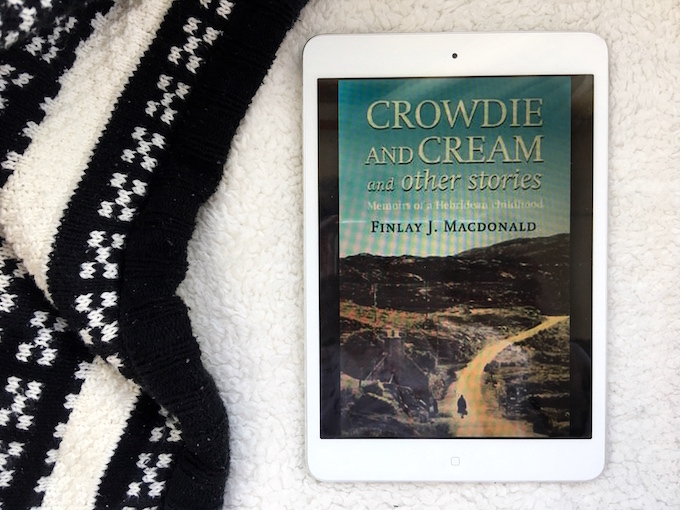 Crowdie and Cream (and the two volumes that follow) make up the journalist Finlay J. Macdonald’s memoirs of his childhood in the Hebrides during the inter-war years. For anyone familiar with the islands, it’s a laugh-out-loud read; the stories may have taken place almost a century ago, but there’s a lot that has stayed the same. From descriptions of the landscape to the way of life, Crowdie and Cream captures the spirit of the islands perfectly. Add it to your reading list here: Crowdie and Cream. 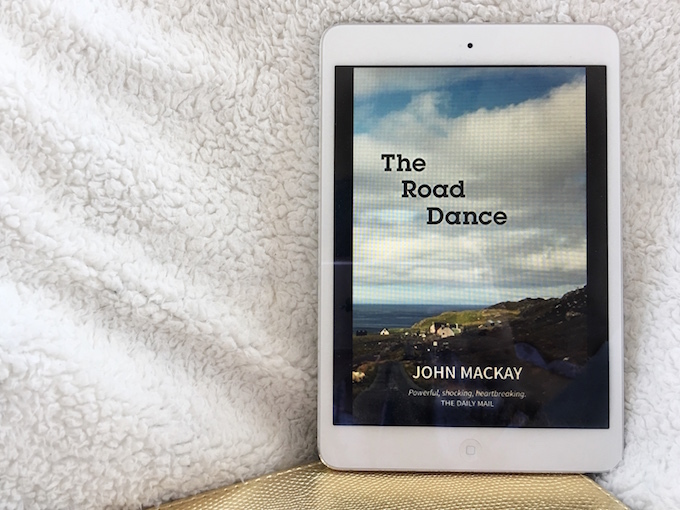 The Road Dance, by John Mackay. John Mackay might be best known as a Scottish journalist and newsreader, but he’s also a successful, published author. His first novel was The Road Dance, set in a still-conservative Hebridean community as the Great War looms on the horizon. The war, and the events of the night of the road dance, will dramatically alter the path that teenage Kirsty takes in life. It’s a gripping story, one that will keep you turning the page all the way to the end – but it’s one that I can’t say too much about without giving away crucial details! Add it to your reading list here: The Road Dance. 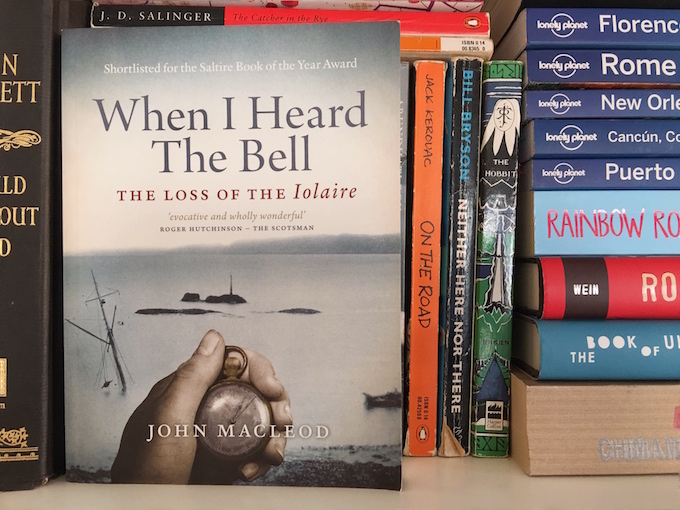 When I Heard The Bell, by John Macleod. I’ll admit it: before reading this wide-ranging account of the Iolaire tragedy, I knew little detail of the boat’s history, save for the bare bones of history. When I Heard The Bell popped up in my Christmas stocking last year, and I was immediately engrossed in the re-telling of the tale of the Iolaire, the ship which sank off the coast of Lewis in 1918. Over 200 servicemen were on board, returning home on New Year’s Eve; they had survived the First World War, but many of them died on their own doorstep. Using historical records and first-person accounts from the remaining survivors, this book offers a sombre and informative account of one the worst maritime disasters to occur in British peacetime, and one that hit the islands particularly hard in the inter-war years. Add it to your reading list here: When I Heard The Bell. 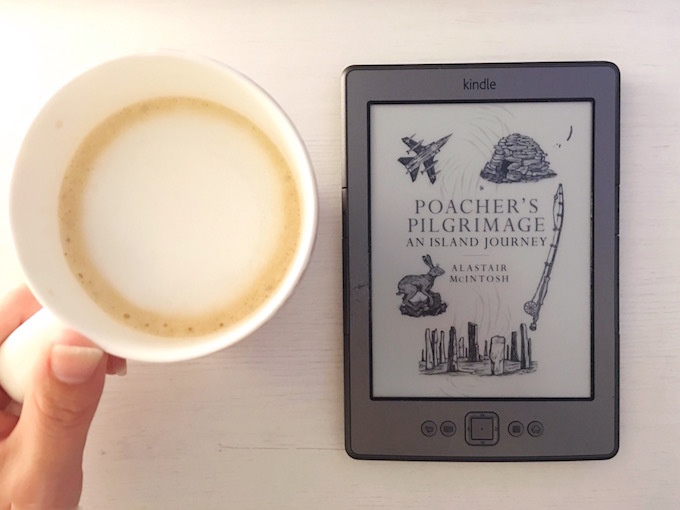 Poacher’s Pilgrimage: An Island Journey, by Alastair McIntosh. This recently released memoir of Alastair’s week-long walk from Leverburgh in Harris to Ness in Lewis seems, at a first quick glance, to be travel writing. You would think so, given the route and the destination. But Poacher’s Pilgrimage defies categorization: it encompasses nature writing, theology, Hebridean history, Gaelic folklore, and many other things besides. The book reminded me of half-heard tales from childhood, and introduced to me new ideas from – and even locations in – the islands. I can’t do it justice here. All I can say is get your hands on a copy, and be prepared for a deep, thought-provoking read. Add it to your reading list here: Poacher’s Pilgrimage. Have you read any of these books – or would you like to? Which books would you add to the list? 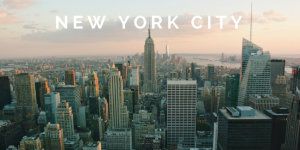 Let me know in the comments below – I’d love to hear from you! Please note: this post contains some affiliate links. This means I make a small commission if you buy something I love and recommend via Amazon.com (at no cost to you, of course). Find out more on the FAQ page. Have read all the books apart from the last one. They are all worth reading in different ways and would recommend them all. I watched Whisky Galore in school many years ago, escaped my attention that it was a book before it was a film. Would definitely check that one out! The Lewis trilogy also looks very interesting.. I haven’t seen the Whisky Galore film, but I’d like to after reading the book. Did you know there’s a remake coming out sometime soon? It looks good 🙂 And I haven’t heard of the Runrig Songbook, but I will definitely look it up! Any such list should absolutely include None Dare Oppose, by John Macleod, in my view. I also think the Lewis born science fiction writer Ken Macleod brings a zest and style characteristic of the island mind to his far flung tales, and I’d recommend him. And I think Peter Mqy’s latest The Coffin Road set in Harris is better than his Lewis trilogy. But then , I live on Harris. I haven’t read either of the firs too, but I’ll look them up since you recommend them 🙂 And I have to say I loved The Coffin Road too! This post idea is a great idea. I’m such a fan of reading the literature of a place before going there. More book lists! I’m happy to hear it’s given you some ideas for new books to read, Anne! The Ian Lawson book is truly beautiful – I received it as a present when I moved from the Hebrides to NYC. It’s a wonderful reminder of home! Great books Katie. I saw the Ian Lawson one last year and thought it was stunning. Sadly, it doesn’t seem to be in print any more. I’d like to add one. 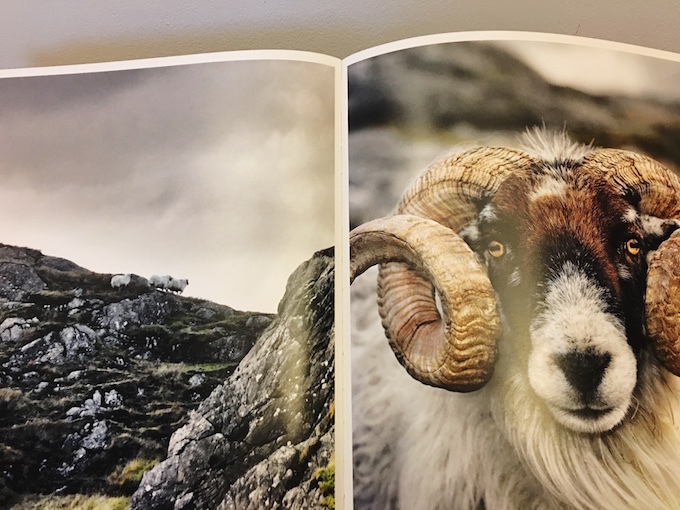 Beka Globe’s photography book of The Isle of Harris. All back and white – arty and very atmospheric. She has a great eye for the landscape. The Crowdie & Cream Trilogy is on my top 10 list of best books ever written (and I’m an English Literature graduate, so I’ve read a few!) I’m amazed you have not yet read it, Katie – that’s a treat in store for you! There are very few writers who can put words on paper they way Finlay does – celebrating the joy to be found in every day life despite what outsiders may have viewed as a life lived in abject poverty. His writing is pure poetry: “Nor is the moor silent as people would have one suppose. Unless the spiralling song of a lark is silence, or the purr of a dragonfly, or the rustling of the heather in the breeze that is too light for the face to feel.” Descriptions like these abound throughout the book..But I hope this does not make people feel it is an unapproachable read. The Crowdie and Cream trilogy is also very down-to-earth and very funny. With book in hand, I did a magical 3 week journey through the Hebrides, spending most of my time retracing Finlay’s footsteps on Harris. There are no words to desribe the wonder and beauty of this journey. Finlay J Macdonald – a master storyteller! I am forever in his debt. Katie, you are so lucky to have been born Scottish (even though you live in America!) What a fabulous bunch of people the Scots are! 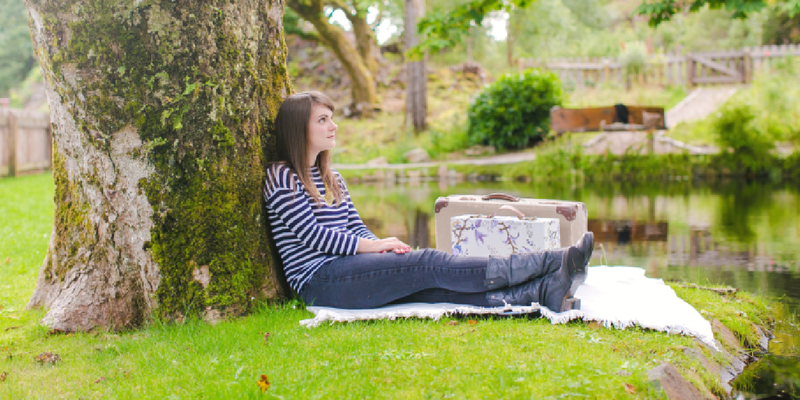 I hope you continue to have many more wonderful adventures with your “talking” suitcase! A good list indeed. One I would add to it is “aspects of the religious history of Lewis up to the disruption of 1843” it is a fascinating read on part of our history. Highly recommended. 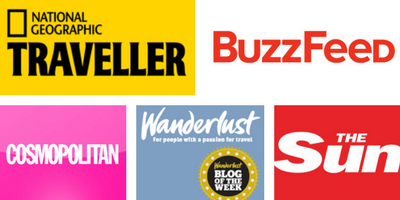 I’ll definitely be adding a couple of these to my to-be-read pile!